Kyoto is the best place in Japan to shop for traditional Japanese art and antiques. Here, we introduce the best shops, markets and galleries in the city. Whether you’re a serious collector or just a keen amateur who wants to bring home a special souvenir, Kyoto is a great place to shop for Japanese art and antiques. Here are our listings before for the best galleries, markets and districts. If you’re looking for traditional Japanese crafts, see our Best Kyoto Souvenirs page. 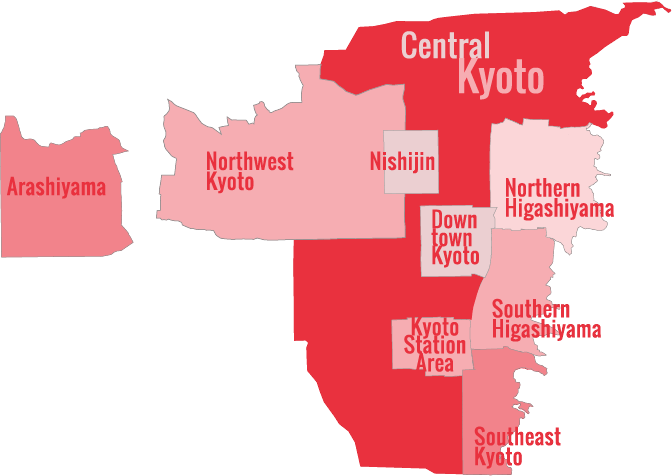 If you’re looking for more general shopping information, see our Kyoto Shopping page. The section of Teramachi-dori that runs between Niji-dori and Marutamachi-dori is lined with shops that sell traditional Japanese goods like tea ceremony goods, scrolls, bric-a-brac and antiques. 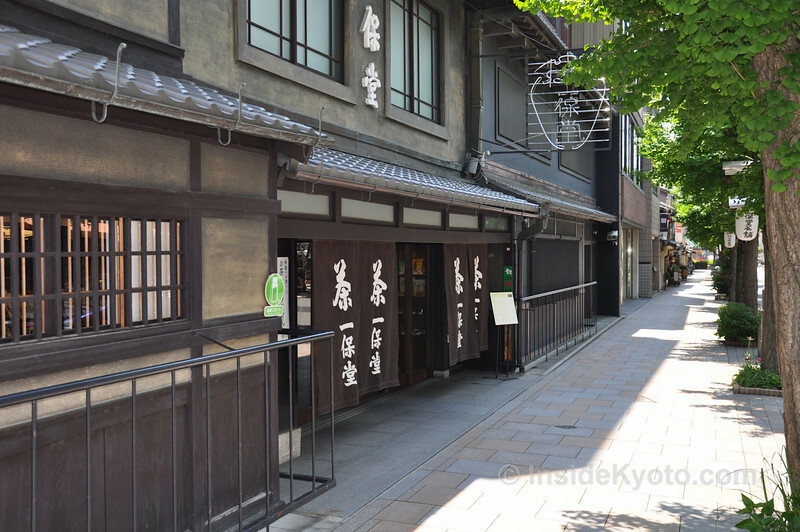 You can easily combine a visit to this street with a visit to Kyoto’s furniture street (see following). 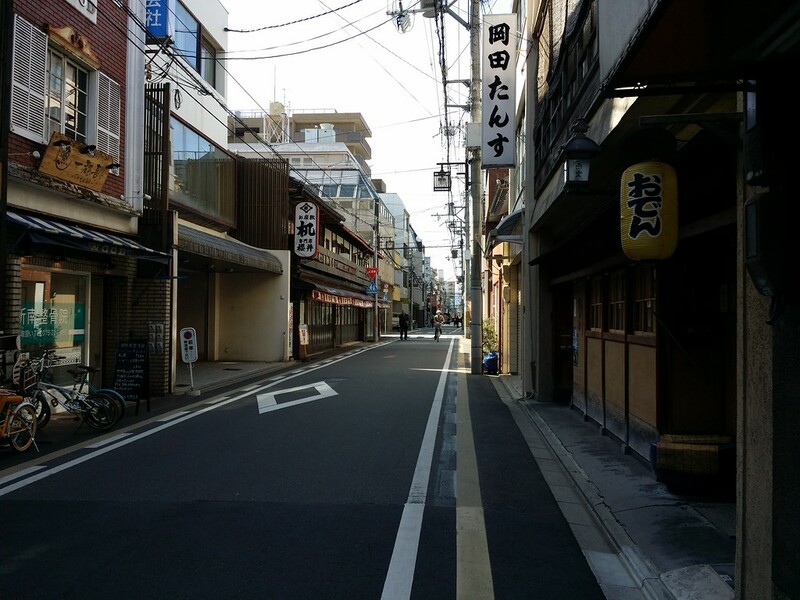 Running west from Teramachi-dori Street, two blocks south of Marutamachi-dori Street, Ebisu-gawa-dori is known as Kyoto’s furniture street. While most of the shops sell modern furniture, there are several shops here that specialize in traditional Japanese furniture and antiques. 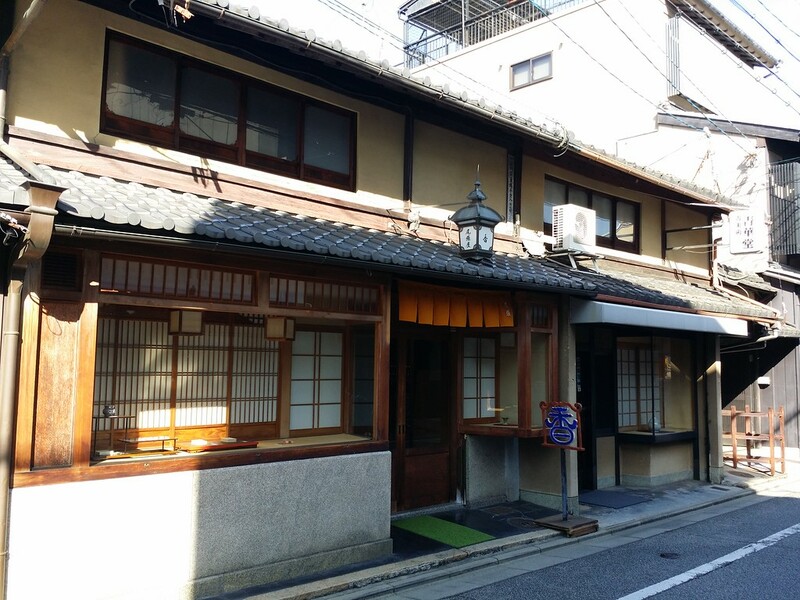 This is the place to look for things like tansu, lacquerware, shoji, hibachi and zataku. Over in Gion, these two parallel streets are lined with Japanese art dealers, with the emphasis on traditional arts rather than modern (but you’ll find some of that, too). 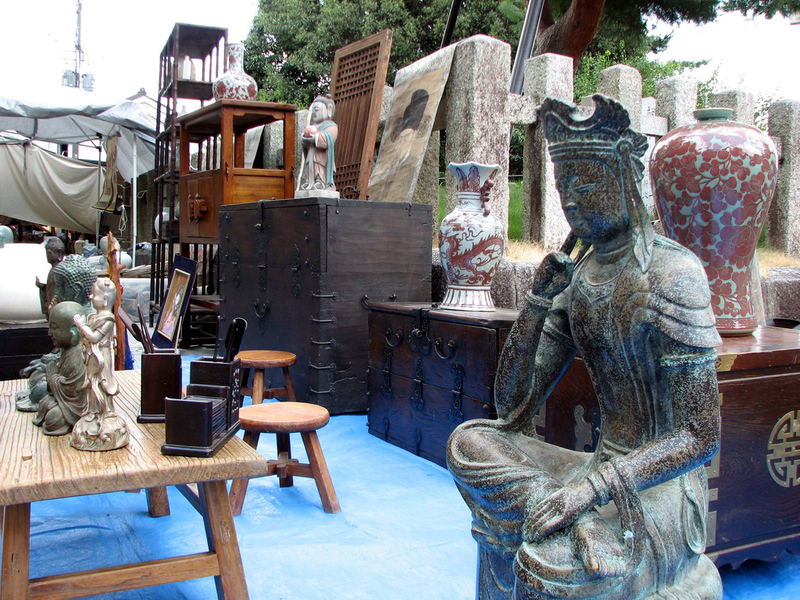 Dealers here tend to specialize in things like scrolls, tea ware, paintings, prints and sculpture. Despite their sometimes forbidding exteriors, most dealers here welcome serious foreign buyers, but don’t come here if you just want to do some casual browsing. 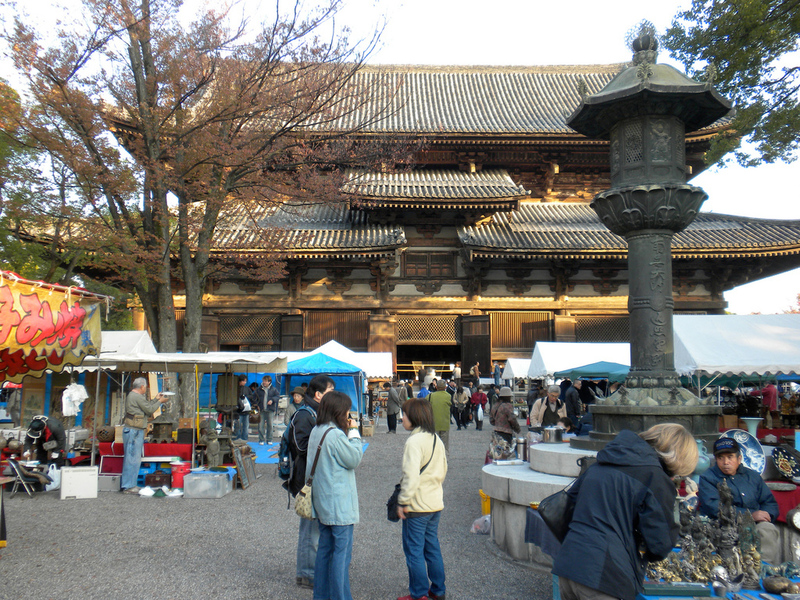 Held on the 21st of every month, this is one of the two best markets in town (the other is Tenjin-san Market, see following). You’ll find all manner of goods on sale here including used kimono, antiques, ceramics, food, bric-a-brac, old postcards and books, and assorted Japanalia. 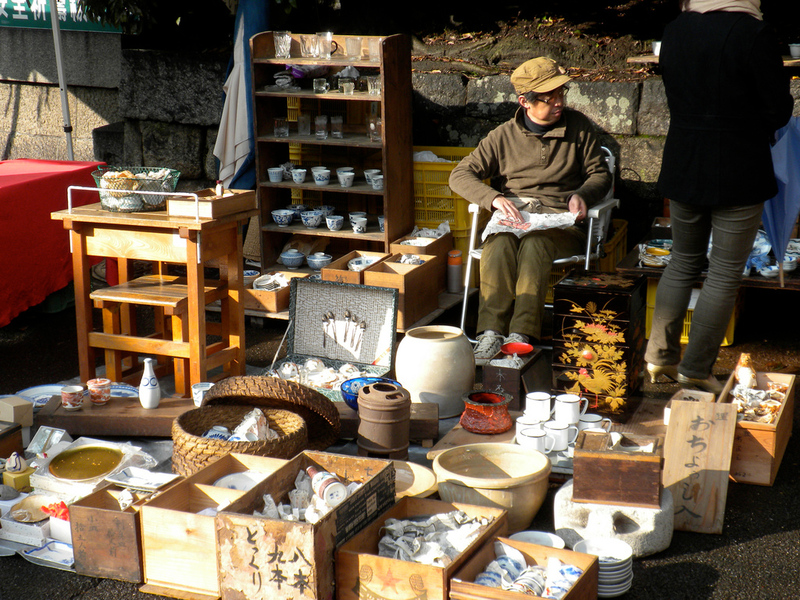 Held on the 25th of every month, this market is a great place to buy used kimono, ceramics, antiques and bric-a-brac, along with food and drink. For serious collectors of Japanese art and antiques, a visit to the Robert Mangold Gallery is a must. The gallery carries a wide range of work, from Jomon to contemporary, with ceramics, tea ware, painting and Japanese armor well represented. 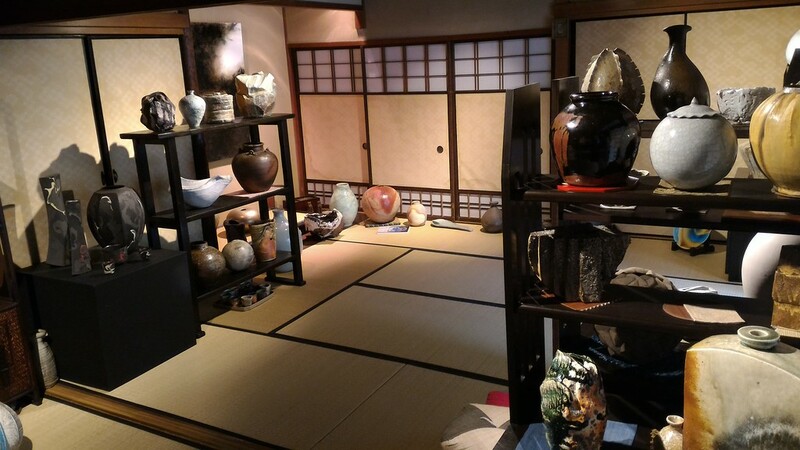 Located a short walk from Ginkaku-ji Temple, the Robert Yellin Gallery is a carefully curated gallery of Japanese pottery in a lovely traditional Kyoto house. In addition to running his gallery, Mr. Yellin is available to serve as a guide to pottery studios in and around Kyoto. Held several times a year at the Pulse Plaza event hall in Takeda, which is a few stops south of Kyoto Station on the Karasuma subway line, this vast art and antiques fair is a step above the two monthly markets mentioned above. A lot of serious international buyers and collectors come here to purchase high-end pieces, but there’s also a lot of reasonably priced stuff on sale as well. Check our events pages for listings of upcoming Pulse Plaza Antique Grand Fairs. 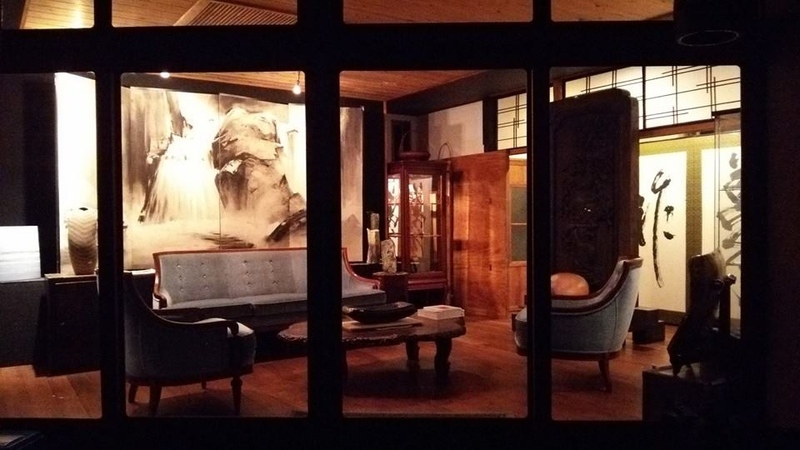 If you are in the Seattle area, you can find a great selection of Kyoto and Japanese art and antiques at the Kyoto Art & Antiques Warehouse Sale. Check the site for details.